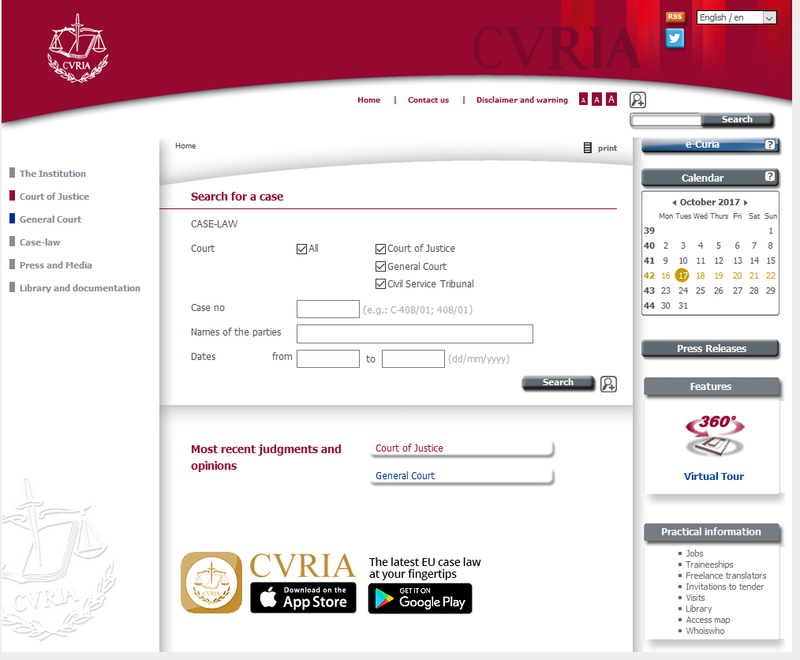 Curia (https://curia.europa.eu/jcms/jcms/j_6/en/) is the official website of the Court of Justice of the European Union. Established in 1952, The Court ”constitutes the judicial authority of the European Union and, in cooperation with the courts and tribunals of the Member States, it ensures the uniform application and interpretation of EU law. [i]1” It is made up of two courts of law: the Court of Justice proper and the General Court. The website provides procedures for each of the courts, as well as statistics of judicial activity. 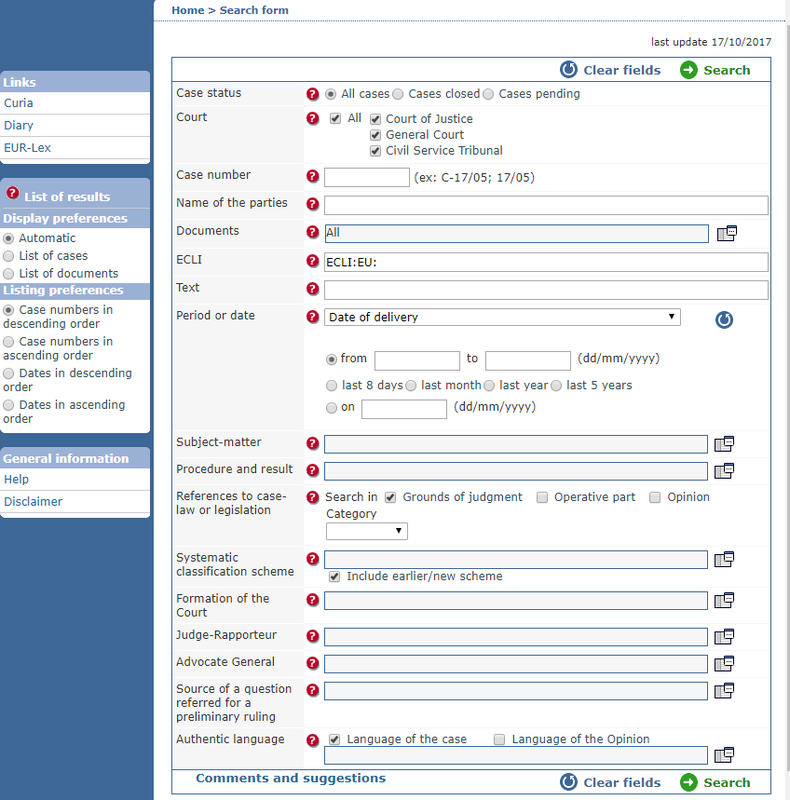 The Case-Law section of the website provides access to the online Reports of Cases, with an advanced search form for more precise results. The Law Librarians at the Texas Tech University Law Library will gladly assist you if you would like more information or training on using this resource. Or just stop by and ask to speak with any of the librarians. [i] Fact Sheets on the European Union – 2017, THE COURT OF JUSTICE OF THE EUROPEAN UNION, https://curia.europa.eu/jcms/jcms/Jo2_6999/en/ (last visited Oct.10, 2017).